Formerly known as Allendale, Kissimmee was incorporated in 1883 by a vote of 33 to 3, four years before the creation of Osceola County as we know it today. 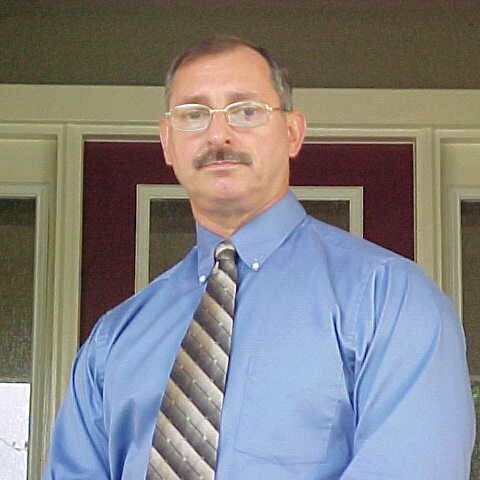 Kissimmee was first settled by former confederate major J. H. Allen, who was a riverboat captain. His steamboat, the Mary Belle, was the first cargo steamboat on the Kissimmee River. Known early on as the home of the country's first bars to accommodate ranchers on horseback, Kissimmee was literally the end of the line. That was during the cowboy era which extended down to Kissimmee and acted as a catalyst for the cattle industry. To learn more about the Florida cowboys, visit our page on "Florida Crackers" to the left. 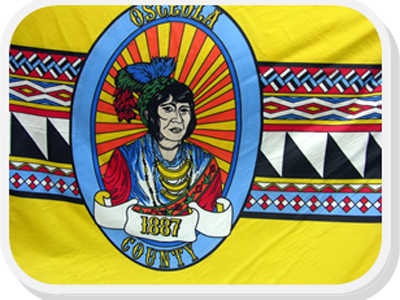 Osceola County's 1,506 square miles include the cities of Kissimmee (incorporated in 1883) and St. Cloud (incorporated in 1911), as well as numerous communities. The city of Kissimmee has always had a strong historical association with the Florida cattle frontier, and the city of St. Cloud has roots that trace back to a northern land baron who began a sugar plantation in 1881. Osceola County's communities include Narcoossee and Kenansville. Narcoossee is one of Osceola County's oldest settlements and was home to numerous British immigrants who brought with them a love for the sport of polo. In fact, a team was created in 1888 and grew to more than 100 members just two years later. Kenansville is located in southeast Osceola County and was named for railroad mogul Henry Flagler's third wife, Mary Lily Kenan Flagler, once he donated five acres and $6,000 to build a school house in 1911. St. Cloud is one of two incorporated cities in Osceola County (the other being Kissimmee). St. Cloud was founded on East Lake Tohopekaliga in 1909, and was named after a French suburb which was an early home to the largest concentration of Union Army veterans in the South, hence its nickname "Soldier City." Its Mount Peace Cemetery, established in 1910, is one of the largest union cemeteries located south of the Mason-Dixon Line with more than 300 Union soldiers buried there. Reportedly the largest sugar mill in the nation operated in the late 1800s in what is now St. Cloud. Some people believe that there are French roots to the city's name, while others say it may have come from the great white clouds that rose above the mill during the refining process. Incorporated in 1911, the city prospered by luring veterans with inexpensive city lots, nearby farm land, and a "climate with no extremes." The first 100 lots sold for $50 each and the price later increased to $100 per lot. In St. Cloud, many of the streets are named after states in the Union. According to the late St. Cloud historian Bob Fisk, this is because a street was given the name of the state from which its first settlers came.